Want an easy way to make pancakes for your children without the fuss of frying them on the stove? 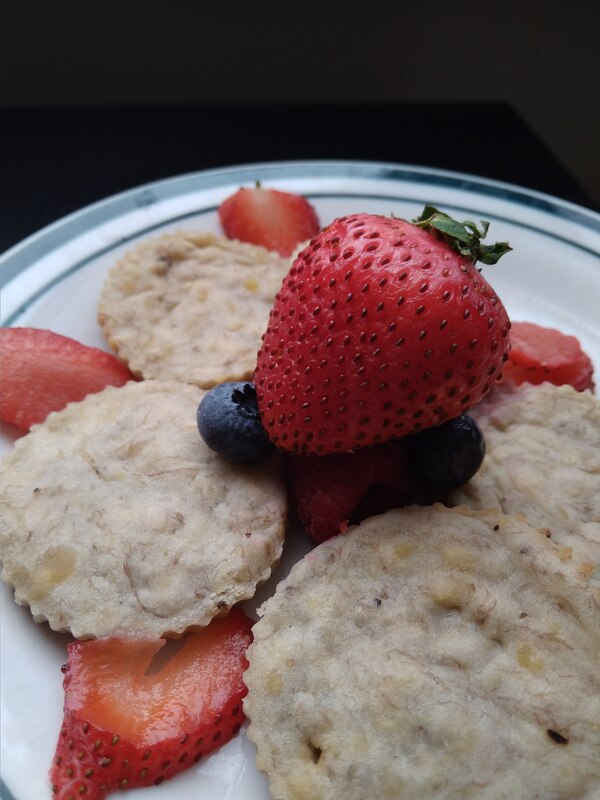 Try these protein packed Mini Lentil-Banana Pancakes. Great for breakfast or as a snack on the go! 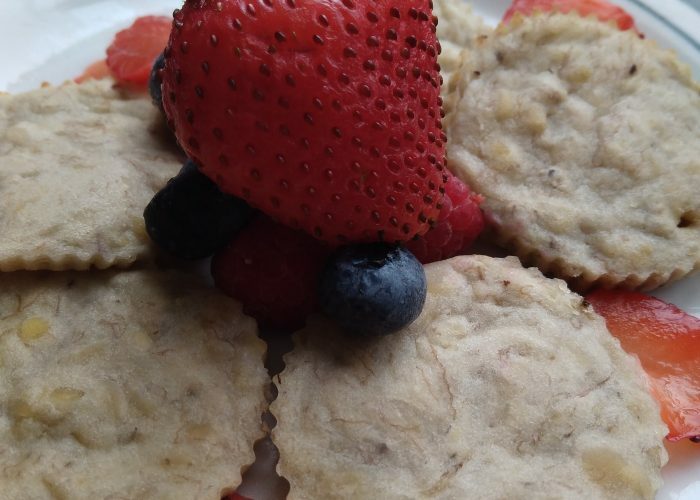 These vegan, egg-free and dairy-free Mini Lentil-Banana Pancakes taste great as leftovers cold or heated, or thawed and warmed up from the freezer. If you don’t have silicon muffin cups, you can try using a greased muffin pan (or use paper muffin cup inserts instead). Vegan, egg-free, dairy-free protein packed mini pancakes that are great for breakfast or snacking! Rinse a half cup of dry red lentils with water in a small pot. Drain the excess water, then refill the pot with about 2 cups of water. Heat this pot on a medium stove fire setting until the pot contents are on a gentle boil. Turn down the fire and let contents cook with a gentle bubbling boil for about 10-15 minutes. You can taste a spoonful of the lentils at the end to check if they are cooked soft. Once the lentils are cooked through, turn off the fire. Remove the cooked lentils from the pot using a slotted spoon into a separate bowl. Measure out ½ a cup of cooked lentils into a separate mixing bowl. Make sure the lentils are drained well of any excess cooking liquid. Into this same mixing bowl with the lentils, mash the bananas, plant-based milk, sifted flour, baking powder, oil and brown sugar. You may add a little bit more plant-based milk if needed. The goal is to create a pancake batter thickness in consistency. Place all the silicon muffin cups onto a baking tray, then spoon a tablespoon of the batter into each silicon muffin cup (only one tablespoon of batter in each muffin cup). Bake the silicon cups in the oven for about 10-12 minutes (or until your desired level of crispness). Take out the baking tray and then remove the cooked mini-pancakes from the muffin cups onto a plate to further cool (and harden) for about 5-10 minutes. Ready to serve! Refill the silicon muffin cups with batter and repeat the process of baking until all the batter has been cooked. Feel free to substitute the brown sugar with honey, maple syrup or agave nectar and adjust the amount added to your desired level of sweetness. Instead of muffin cups or a tin muffin pan, you could use a big silicon cake mold to bake a thin layer of the batter. This will create bigger pancake size pieces, which you can enjoy whole or just slice it into smaller pieces. Bon appétit! ← Besides Calcium, Are There Other Nutrients Important for Bones?